Welcome to Magnolia Kid’s Club! Magnolia Dental is a family dental practice that takes care of patients at every age. Magnolia Dental is a family dental practice that takes care of patients at every age. 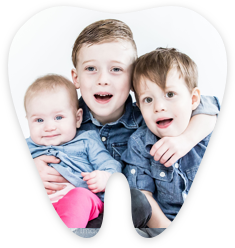 We have a dedicated team to serve the needs of the entire family and provide your children with the dental knowledge and support they need for a lifetime of good oral health. At our office, every child is a very important member of the Magnolia Dental Kid’s Club! Our gentle team has a positive, fun approach to keeping smiles healthy starting from a child’s first appointment. Our goal is to get kids excited about caring for their teeth and coming to the office – and support parents at every stage of development. Dr. David Silverglade graduated from Northwestern University Dental School after which he enlisted in the Air Force where he cared for troops in the United States and Guam. Dr. Silverglade received his Pedodontic training at The Ohio State College of Dentistry and Nationwide Children’s Hospital where he was Chief Resident. 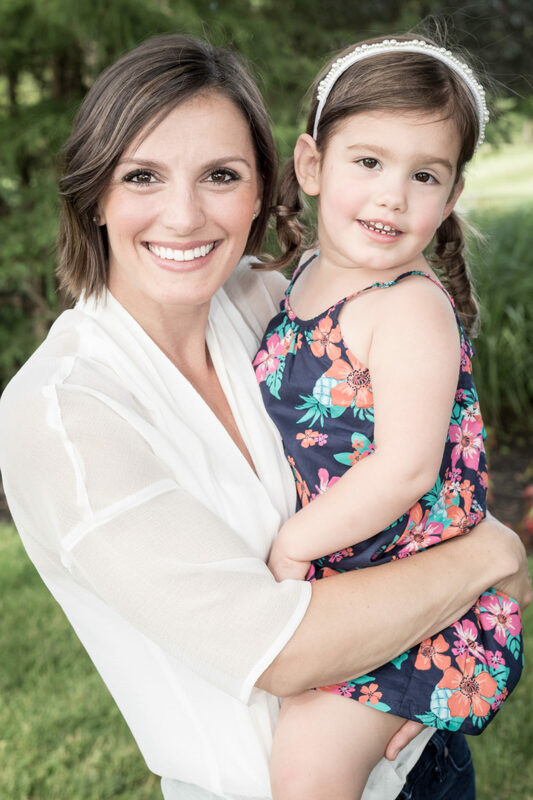 Dr. Silverglade continues to be on active staff at Nationwide Children’s Hospital and is looking forward to building a strong pediatric presence at Magnolia Dental. Dr. Silverglade was in private pediatric dental practice in Columbus for nearly 40 years where he treated infants, children, and adolescents. Throughout Dr. Silverglade’s career as a pediatric dentist in Columbus, he published numerous scientific articles, taught at the OSU College of Dentistry, and lectured internationally. Dr. Silverglade is known for creating an oral appliance that treats perioral burns which often precludes the need for multiple surgical corrections. Magnolia Dental is looking forward to adding a pediatric specialist to our expert staff. Tooth buds, the masses of tissue that eventually form into teeth, develop during pregnancy as early as the sixth week! By the time your baby is born, the tooth buds of the primary and some permanent teeth have developed. Baby teeth don’t just help your child chop their food! Primary teeth support jaw formation, speech development, and save space in the jaw to guide permanent teeth into place. A beautiful, healthy smile also helps a child build self-esteem. The American Dental Association recommends that kids’ teeth – both primary and permanent – are brushed twice a day for two minutes at a time. For kids under the age of three, begin with a small amount of fluoride toothpaste (no more than the size of a grain of rice). Once a child is three years old, you can dispense a pea-sized amount of toothpaste to use for brushing. Finding ways to make brushing a fun part of a child’s routine through books or song can help avoid resistance towards this healthy lifelong habit. Genes can play a role in whether or not your child is prone to cavities. 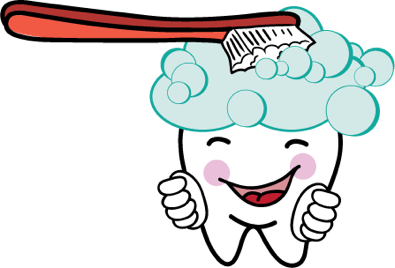 Even with good brushing and flossing habits, cavities can happen. 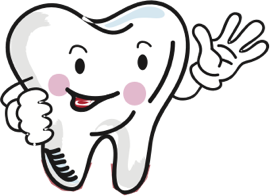 It is important to follow the advice of your dentist and not delay in treating cavities. If cavities are left untreated, the infection can cause damage to the permanent tooth underneath, or even lead to nutritional deficiencies if dental pain impacts the child’s ability to eat. Other serious complications can occur if left untreated. 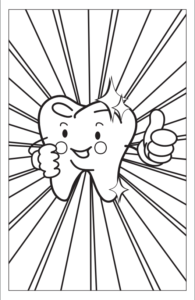 Books like Baby Tooth Gets A Cavity by Lauren Kelley can help a child prepare for a filling. At Magnolia Dental, we provide the best dental care possible in a loving environment for patients of every age. 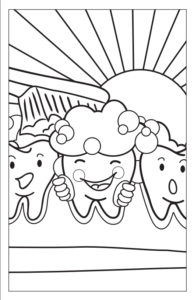 Our goal is to get kids excited about taking care of their teeth from their very first visit! Your child can see the dentist anytime after their teeth begin erupting, but make sure you book an appointment with our office before the age of 1. 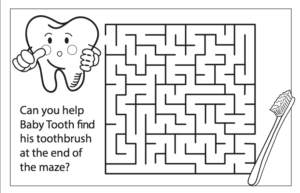 Follow the adventures of Baby Tooth as he navigates dental health in a fun way kids can understand! Is there a child in your life who doesn’t want to brush his teeth or is struggling to make nutritious food choices? Is she excited (or scared) about losing her first tooth? Is your child facing a trip to the dentist for a cavity? Written by Lauren Kelley and illustrated by Emmy Mitchell, the Baby Tooth series tackles these situations through the eyes of Baby Tooth. To guide children through the various dental milestones and learnings, and support what they’ve learned visiting the dentist, our practice recommends reading the Baby Tooth book series at home with your kids. The dentist is always so scary for my two girls. But now that we have found Magnoila Dental our visits are breeze and fun. The staff is wonderful and my girls feel safe and comfortable! Thanks so much Magnolia! Introducing the Baby Tooth Series! 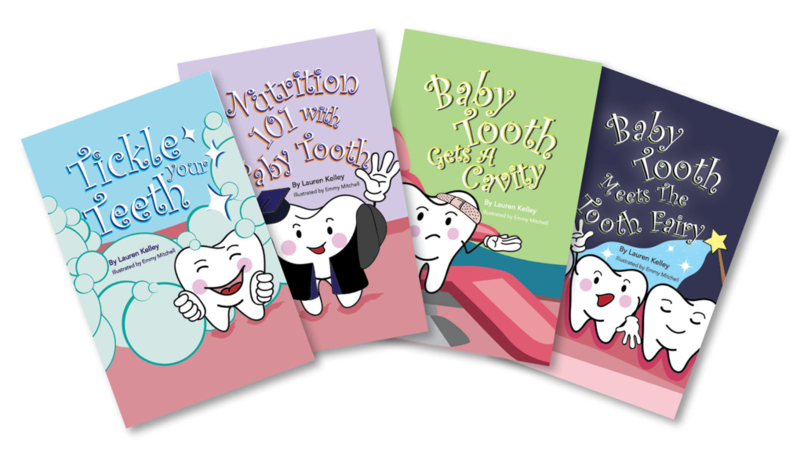 Available in hardcover and paperback, the Baby Tooth Book Set includes Tickle Your Teeth, Nutrition 101 with Baby Tooth, Baby Tooth Meets the Tooth Fairy, and Baby Tooth Gets a Cavity. 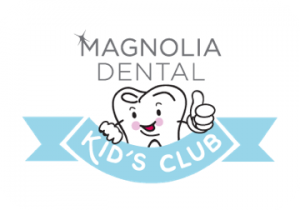 For more information about the Magnolia Dental Kids Club, get in touch with us today!